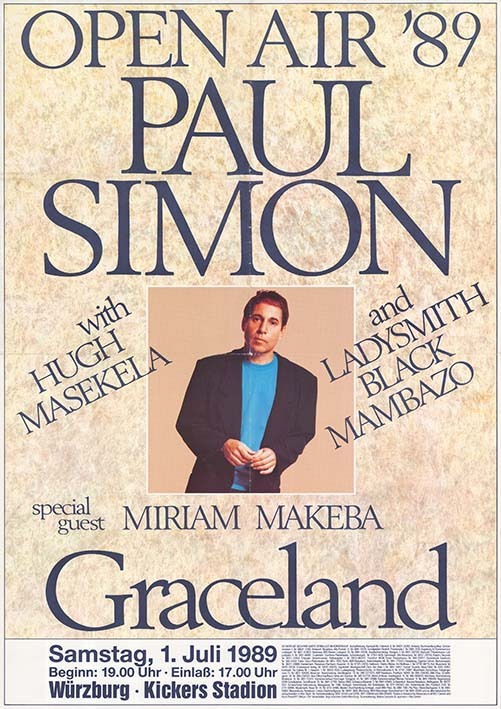 In 1985, the American folk-rock musician Paul Simon aroused international attention when he rehearsed and recorded in Soweto with South African musicians, including Ladysmith Black Mambazo. 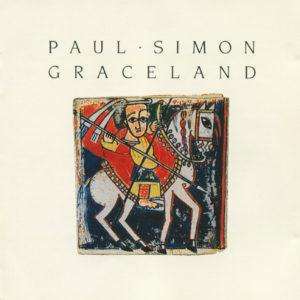 The resulting album, Graceland, was released on September 1, 1986. Around that time the ANC had been discussing intensively a change in its cultural boycott regulations, and planned to replace the total boycott with a selective one; this would give artists who had committed themselves to ending the apartheid system the permission to exercise their art after prior consultation with the ANC. Simon, however, had not contacted the ANC or cooperating anti-apartheid organizations in the USA or Europe to inform them of his intentions, let alone requesting a permit for the recording of the album and for a planned tour. Thus, he had clearly violated the 1980 resolution adopted by the UN, in which artists were asked to boycott the apartheid regime. However, as he assured the UN in a written statement that he would continue to reject the apartheid system and that he would not be present in South Africa in the future — Simon had repeatedly rejected invitations to Sun City — the UN renounced an entry in the Cultural Register. Unimpressed, Paul Simon declared in a press conference two days before the start of the tour on February 1, 1987, that he as an artist did not feel obligated to consult anyone about his projects and that he did not accept conditions on what he says, thinks or writes. Simon’s position was supported not only by the exiled South African musicians Miriam Makeba and Hugh Masekela, who along with Ladysmith Black Mambazo accompanied him on the Graceland tour, but also met with positive resonance at the Pan African Congress and the American Black Consciousness Movement. These groups also saw the tour as giving the opportunity to present the culture of black South Africans to the world, instead of exclusively presenting them as victims. Against the backdrop of these events, the president of the ANC, Oliver Tambo, announced in May 1987 that the Organization had decided to revise its cultural boycott regulations and that from now on supported projects that would support the presentation of the South African “Folk culture”. The album and tour was a great success, and not only paved the way for many South African musicians to an international career, but enabled them to draw the attention of the world to the inhumane politics of the apartheid regime. According to the journalist Michael Maren, the ostensibly unpolitical Graceland Project sensitized its audience not only to the issue of South Africa, but also led to a fundamental rethinking by the ANC and the UN with regard to the previous cultural boycott policy which, according to Maren, unnecessarily curtailed the presentation of Black South Africa and its struggle for freedom in the world and thus ultimately played into the hands of the apartheid regime. Paul Simon & Forere Motloheloa: The Boy in the Bubble, on: Simon, Paul: Graceland, Warner Bros. 1986. 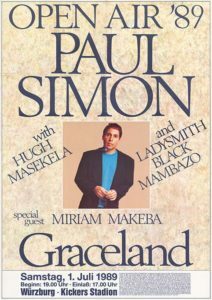 Paul Simon & Ladysmith Black Mambazo: Diamonds on the Soles of her Shoes, on: Simon, Paul: Graceland, Warner Bros. 1986.